Baby wipes for adults...say what?! Every home needs a packet of these multi-purpose wipes in their cupboard, whether you have a baby or not! The uses are endless and you’ll soon wonder how you ever lived without them. Editor's Note: This post was originally posted in April 2015 and has been completely revamped and updated for accuracy and comprehensiveness in April 2018. Why are baby wipes for adults too? Wait and see how they can transform your beauty regime and become your most must-have skincare essential. Keep your baby wipes on hand when you’re painting your nails - they can quickly fix any mistakes with minimal effort. They’re also incredibly useful for cleaning the nail area pre-manicure and for giving a little extra moisture to cuticles. 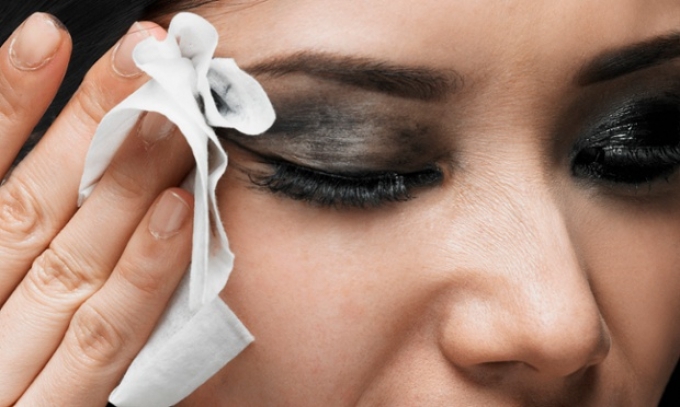 Beauty purists might recoil in horror at the thought of cleansing skin with a wipe, but they are fine for eye make-up. If you’re in a hurry or feeling lazy they will quickly dissolve stubborn mascara in seconds and are kinder to sensitive skin than cheaper cleansers. They're also a lot cheaper than most ‘beauty wipes’ found in the skincare aisle. There are so many uses of baby wipes for adults! 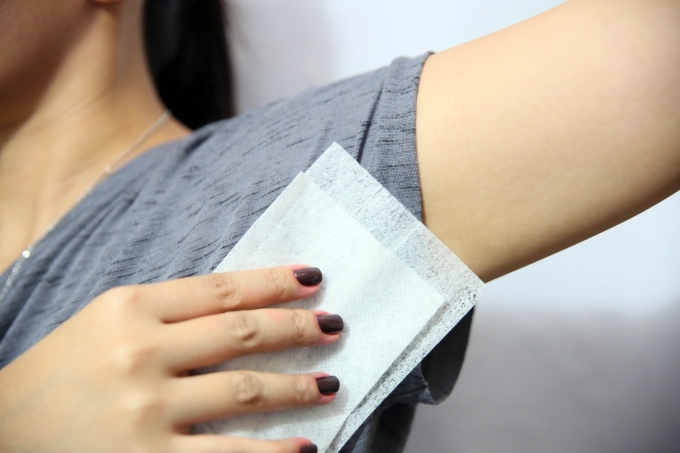 Now, this use of baby wipes for adults is a real game changer! If you dye your hair at home, you'll know how tough dye stains can be to remove. Keep a pack of baby wipes on hand to quickly clean up those drips and stains around your hairline and neck. We’ve all been there…reaching for the kitchen roll when your loo paper has run out. Baby wipes are a good alternative every now and then. Also handy for recently toilet trained children and for when they need a little extra help cleaning up. Just remember not to flush them down the loo. If you have created a nice up 'do but have flyaway hairs then don't reach for the hairspray - take a wipe and gently pat down any hairs. Works a treat! You can also tame unruly eyebrows. Who says baby wipes aren't for adults too? If you've been a bit heavy-handed with the tanning lotion, just go over the areas with a baby wipe. They're also excellent at removing stains from the palms of your hands. There's nothing that proves baby wipes are for adults too like their cleaning powers...they're the ultimate multi-tasker. 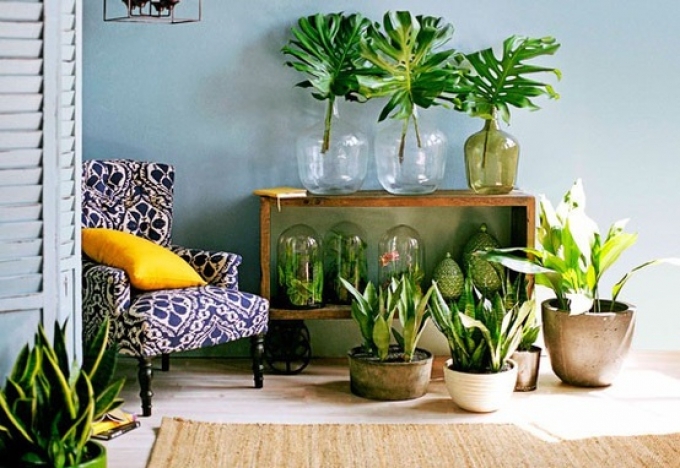 To remove any dust and get that brilliant sheen back, give the leaves on your houseplants a quick wipe down with a baby wipe. They’ll look lovely and shiny again. Keep those plants clean using baby wipes. Attach a wipe using some tape to your broom and clean away the dust in those hard to reach areas. The dust will stick to the baby wipes instead of falling into the air – making it an absolute cinch to clean away cobwebs and dust balls. If you've got unexpected guests coming over and no time for a deep clean, just grab a few baby wipes and wipe down the surfaces in your kitchen and bathroom. The clean and shiny appearance may only last an hour or so but it will give your guests that priceless first impression of a super clean home. A quick wipe down with a baby wipe will collect any dust from your leather sofa and give it a temporary shine. A great quick fix for when guests pop over at short notice. FACT: Baby wipes are amazing at getting out stains from pretty much any surface. From cotton clothing to drawn on walls, sofa stains and carpet spills - give it a gentle rub before it sets and see the stain lift off. I recently removed an oil stain (from some Piri Piri chicken) from a cotton tablecloth with a baby wipe, a dab of liquid detergent and a quick rinse in the washing machine. Baby wipes are great for cleaning leather. From a sofa to a leather jacket - before you buy specialist wipes or invest in a professional clean, just have a go with some baby wipes first. You could save a fortune! Baby wipes are essential when decorating. Especially painting walls as they can actually get the matt paint off your hands! For a quick clean up after a day’s decorating – I recommend baby wipes. Light switches are touched constantly, and you might start to notice they've discoloured. Give them a clean with a baby wipe and they’ll look good as new. Plus you’ll get rid of any germs laying on the surface. Get rid of grime and mould on the handles and crevices of your fridge. They’ll quickly lift off with very minimal effort – for particularly grubby areas double up. 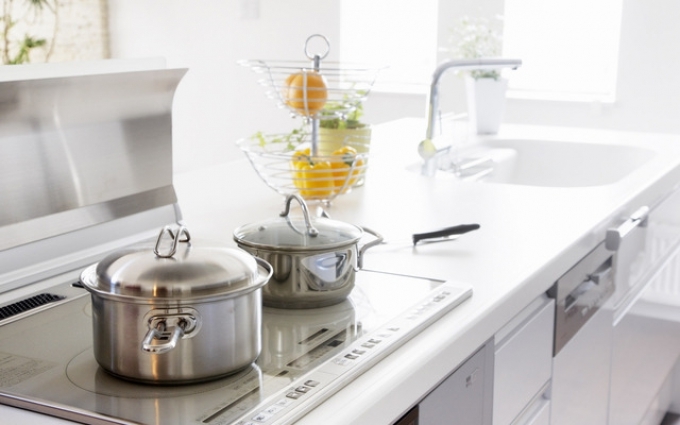 They are also incredibly useful for cleaning the outside of most kitchen appliances too, like your microwave, kettle, toaster and coffee machine. Use a baby wipe to quickly clean those grubby trainers, shoes or welly boots. You can wipe the sides and soles making them look like new again! You can also give leather shoes a quick wipe over to restore some shine. Give those toys a good clean with just a few baby wipes. You’ll get rid of any dirt, grime and germs while also making them look shiny and new again. Baby wipes are an absolute wonder product for cleaning those hard-to-reach areas where dusters just can’t reach. Run a baby wipe along your blinds to catch any dust, or pull them through the slits in your garden chairs. Wipe excess grease from frying pans and deep fat fryers with a baby wipe before putting them into the sink for washing. They work absolute wonders in getting rid of grease so you can wash up with minimal effort. Baby wipes are a novel way to clean kitchenware. Accidentally got some foundation on your clothes? Quick - grab a baby wipe before it sets and wipe it off. It works pretty much instantly. I heard of this little trick from a friend who works in retail. Apparently, they use them to take off make-up from clothes after people have tried them on. Keep your bins clean in-between washes with a quick wipe down. You can get rid of food bits and spills really quickly - you'll never have a dirty bin again! Get to those fiddly hard to reach areas of your windows and really get into the corners and crevices with a wipe. Baby wipes are a must for adults and kids alike on days out...you'll never leave the house without them. 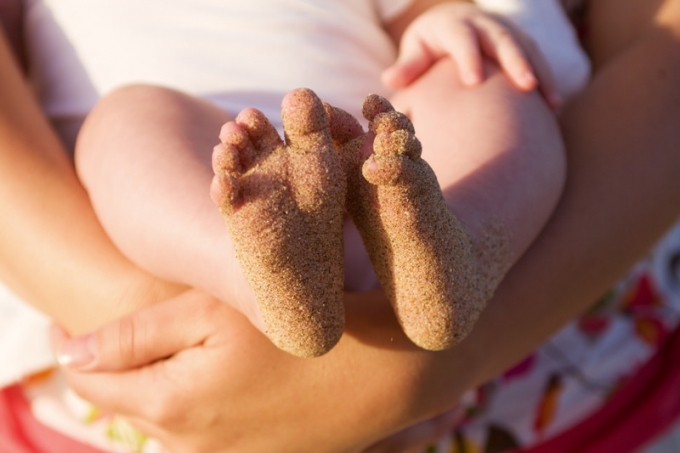 No beach bag should be without a packet of baby wipes - they are an absolute essential! You can get rid of sand, salt water and sunscreen from your skin and hair in just a few seconds. No more itchy grains - you'll happily go from beach to bar or car with ease. Baby wipes are great for travelling when you’ll be in contact with a lot of items in public areas. Use them for wiping down toilet seats, handles, public phones etc. Use them to wipe down your gym equipment - treadmill, spin bike and more - and also use them to give yourself a quick freshen up for when you're not showering at the gym. Don’t leave home without a pack of baby wipes! You can use them to clean yourself when you don’t quite need a shower, as an alternative to washing your hands and to clean dishes and pots and pans. Store a packet of baby wipes in the glove box of your car and they’ll definitely come in handy! Use them to wipe away any petrol spillages or grubby hands and when you're stuck in traffic, why not clean away dust from your dashboard and plastic fittings. Get into those fiddly areas like the cup holders and caddies too. You can also wipe away any bird poo from the windscreen. This is one of our favourite uses of baby wipes for adults. During the Summer, keep a pack of baby wipes in your fridge for a quick cool down. You can easily get rid of any sweaty areas or dirt from the bottom of your feet while you’re at it. Perfect for keeping in your cooler bag on those beach days or picnic trips. Save from mud and dirt trailing through your home by keeping a small packet of baby wipes by your door. 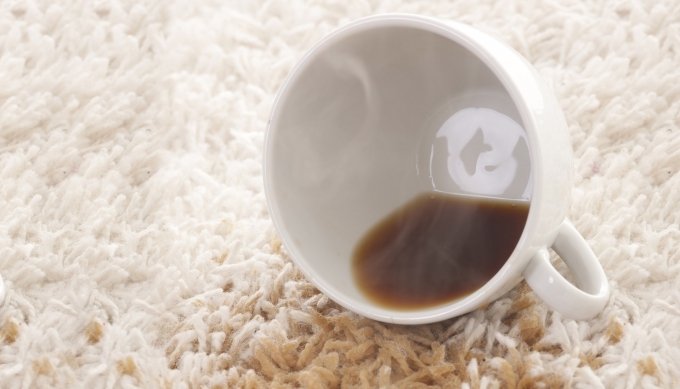 Give the wheels a quick once over with a wipe to ensure you keep your floor nice and clean. You don't know what nasties are lurking on that floor! Give your mat a quick clean with a wipe so it stays clean and germ-free. ...these random but wonderful uses will put them to extraordinary use. If you don’t like the taste of envelope glue or stamps, use the end of a baby wipe to moisten the seal. It works wonders and will save you from any potential paper cuts – ouch! There are uses of baby wipes for pets too! If you've got a pet then use baby wipes to clean their muddy paws. You can also catch those malting hairs. This works wonders on furniture and the couch too - wipes are a magnet for pet hair. If you get frustrated with white deodorant marks, keep some baby wipes to hand. They quick mop up any white residue and leave your clothes nice and fresh. Banish those embarrassing sweat patches. Turning your keyboard over and giving it a good shake is a good way to get rid of any dust and debris, but you should also be give it a deep-clean. Unplug your keyboard and use a baby wipe to clean in-between the keys. You'll be shocked at the amount of hidden dirt and gunk. Those recipe books will look good as new with a quick once over with a baby wipe. I use baby wipes for crafting. Very handy for wiping rubber and acrylic stamps, cleaning ink mats and wiping ink stains off my fingers. I also use them for wiping down the surface and collecting all the stray bits of paper, ribbon and sticky tape after use. There are still a few more uses of baby wipes for adults. Keep reading to discover them all! Pick up some baby wiped with Aloe in them and then add a few drops of witch hazel into the container. This alternative is much cheaper than speciality wipes and can do the same job. Cut your baby wipes into squares, add a few drops of your favourite essential oils and place it in the corners of your wardrobes and drawers. A quick and cheap way of lightly scenting your clothes! 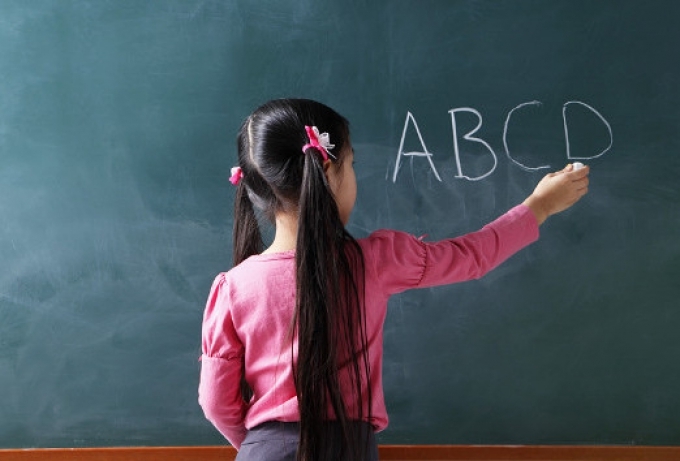 Teachers in the know use baby wipes to give their chalkboards - and whiteboards - a good clean at the end of the day. A great tip for teachers! You can get rid of those grubby fingermarks from all your appliances with just a quick wipe. You can also clean tablets and phone screens! Remote controls can get extremely grubby so make sure they're kept clean and germ-free by giving them a good clean with a baby wipe. They're thin enough to get in-between all those tiny buttons. Finally, when you're done with your baby wipe - and if it's not too dirty - leave it to dry out and re-use as a dusting cloth. You can even launder some baby wipes like Huggies and continue to re-use! Thanks for reading! 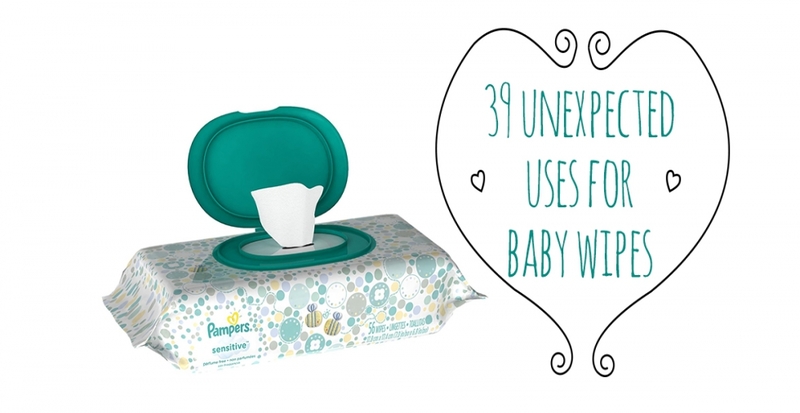 Do you have any unexpected uses for baby wipes? Lots of uses for alcohol hand gel too. Cleaning silver, stainless steel kettles, bins fridges etc. Used with a baby bud get into difficult places with ease. That's interesting. I will have to do some research on that Bee! Thanks for sharing. They are far gentler on sensitive skins, I agree Victoria. Aww that's great. They are so useful and handy to have around. Best of luck! Thats actually not true.the alcohol in baby wipes is completely harmless.it would be strong and possibly toxic by itself,but it is neutralized with a safe cleaning agent.so baby wipes are completely harmless to humans and animals. I use the unscented ones for my dogs ears she's prone to the odd flare up I find them and then a little bit of lavender oil on the OUTSIDE of her ear. Great if your dog gets grubby ears! Great tip Kirsty, thanks for sharing. I will spread the word to all my dog owning friends! Hi my dog has itchy and annoying ears at times I know it's a build up of wax can you tell me do you rub the oil onto the babywipe then rub the inner ear canal? Or rub onto the outside of the ear(on fur)? Hi Stacey, I would seek advice before using the baby oil trick on a pet. The baby oil can be used on us humans but it's probably best to get an ear cleaner from the Vet's or pet store for your dog. They're great at getting rid of grass stains on satin shoes, as we found out after wedding photographs were taken on a damp lawn. Oh that's an interesting one Sue! I'm glad to hear your disaster was averted - baby wipes to the rescue! going right out to buy some baby wipes! That's an interesting one Jim! Actually bug spray works wonders on those foggy headlight lenses. And I've found Magic Erasers to be my "new best" friend:) A little more effort into using them verses baby wipes. But I SWARE by them! Work for EVERYTHING ? Haha! Magic Erasers are the best, love them. Good for cleaning flys off windscreens and lights on your car too. I just always keep them I my handbag , in case a passer by is sick or a child treads in dog poo , or an adult for that matter you would be amazed at how many people I have given them out too over the tests and seeing people clearly happy for just a wipe is truly makes you feel as if you have helped someone out for that day and I am sure they will not forget your help in their time of crisis . Baby wipes are essential when decorating, especially painting walls as they can actually get the matt paint off your hands! For a quick clean up after a day's decorating - I recommend baby wipes. Great tip Natalie! Thanks for sharing, I will add it to the article. I use baby wipes for crafting, very handy for wiping rubber and acrylic stamps, cleaning ink mats, wiping ink stains off my fingers then for wiping down the surface and collecting all the stray bits of paper, ribbon and sticky tape after use. This is a lovely tip Michelle. Thanks ever so much for sharing! I buy baby wipes, all types, they are all good, i Use them to get paint off my hands because i love to paint, they also get the paint off my wooden table. I also use it to take off my make-up and is very good product to have with you, i keep a pack in my bag all the time. I also love them. They must come in handy for painters, thanks for sharing your tips! You left out my 2 main uses for always being armed with baby wipes. Cleaning up cat vomit there brilliant for. We never leave for a festival without a pack of them. When your getting into your tent at night after unlacing muddy para boots you need them to wipe the mud off your hands. Also used to clean plates and knives and forks after eating. One of the best inventions ever the baby wipe. Cat vomit hey? That's an interesting one! I will bare that in mine, I am putting together an article for cat owners - thanks Gregg! Baby wipes are also fantastic for festivals, agreed. I always use baby wipes to clean up my cats sick. I do that with my dog too! I will be trying this on my cream sofa tonight!!!! I have a horse and always keep a pack or two in my grooming box. Even use them for a quick last minute wipe of my tack and riding boots at shows gives a lovely shine. Great tip Kirsty, thanks for sharing! Thanks kirsty who would of thought that you could use them for so many different things. Yes they really do! My colleague Colleen recently found out that banana skin also works a treat at shining up leather. That's interesting Janis, thanks for sharing. I use baby wipes on my stainless steel hob, it gets rid of all the water and finger marks and leaves it looking like new. I do the same thing Mary! Please advise readers NOT to use baby wipes on leather of any type. There are so many different types of leather around with different finishes, baby wipes may look like they are doing no harm to the leather but long term they can be detrimental. You would be better off just using a damp cloth or better still proper leather cleaning products. Hi Dean, thanks for the warning. A suitable leather cleaner would be the best way to treat it, but for an occasional quick fix I don't think it would be too bad on everyday leathers. Omg if baby wipes do all the things you say they do then what's it doing to the poor baby's botty! I'm shocked!! Hi Cathy, that's a very good point! I think I would use baby wipes on everything but my baby. They are very good for a quick refresh! Thanks Humayra! Hope they work out for you. Hi Jeanette, absolutely. I would throw baby wipes away into a bin and not flush down the toilet. Can definitely vouch for baby wipes and leather sofas I have two children under two so you can imagine the mess! Food, milk and any thing else you can think of gets all over my leather sofas I wipe them down regularly with just a baby wipe and it makes it look like they have had a really good clean! They are great! Great to hear Natasha. They're so handy for spills. YES we youse these every day all round the house ,car cleaning food places , help with baby , children ,and pets as well. they are very good in every day users, all around the house and in the car, and with pets as well. Totally agree Bernard, love them. comet you can with these every day every hour of the day . Great tip! You're welcome, happy to hear you like them. Got red wine out of my beige sofa with a wet wipe! Mop up while it's still wet and forget about wasting white wine too! Dip in ashes and use to clean the glass in the doors of wood-burning stoves. Thanks for this tip Rosemary! A definite mutual to take everywhere, I've worked with children for years (I use the unperfumed ones) my partner used to laugh at me taking wetwipes with me everywhere) but since has often asked me if I have them when changing a tyre, refuelling the car or checking under the bonnet, I do have to mention to him ' they are very useful aren't they? Of course! He should be reminded of their usefulness :) I always keep a pack in my car. i don't see why not Charlotte? Maybe you could add a few drops of lavender oil or your favourite scent to it. If you drop gloss on laminate flooring baby wipes can get it off without staining laminate, even if it has dried they will still remove the gloss. I use baby wipes to clean the glass on the door of my log burner. It cleans the soot marks off brilliantly. I also use them for household cleaning in general, crafting and anything else I might need a quick clean up. There is always a packet in my car for those little emergencies such as spills, children's sticky fingers and crumb removal from the seats plus cleaning the steering wheel and dashboard. Whoever invented baby wipes should get a big handshake. They are indispensable. Great tips Carol, have not though about silicon. Hi Joyce, thanks for all the really useful tips! I also use the different sides for cleaning banisters and window sills :) I agree they are also fantastic for car cleaning, I keep some in the glove box. Baby wipes are a great cleaner for stainless steal cooker tops,kettles etc ,it does leave any annoying streaks when I dries either! This is so true Tiffany, streak-free cleaning. I witnessed an accident in the street recently where an elderly lady tripped and fell , cutting her face which bled very badly , while the ambulance was coming , a young lady with a baby pulled out the baby wipes and did a great job of cleaning up the ladies face and her jacket, first aid ! Ahh, bless her. They are great for emerf=gency clean ups. Hi Michelle. That's a very good point, as with all similar products we should not use them excessively or flush them down the toilet. I have read that's a growing problem. I like to save some that haven't got too grubby and launder them so they can be re-used as cleaning cloths. Thanks Farzana, happy to hear this! I use baby wipes when I am painting with pastels to wipe away from my easel and hands. Some really good uses but as they are not antibacterial I wouldn't use them to clean the kids toys nor the fridge or any other surfaces through the house, I much prefer an anti bac wipe. Hi Jody, yes that is fair enough if you want a good anti-bac clean. Love anti-bac too! You're welcome Sue, I'm happy to hear you liked them. Yes agreed, great for mucky fingers and paws! Do not ever flush baby wipes! In fact, never put anything down the loo that has not come out of your body. This may seem disgusting when you read it, but I had a hideous plumber's bill because a granddaughter flushed a tampon. Hi Marilyn, yes I did mention not to flush them down the toilet. They make a good alternative to loo paper but yes not good for plumbing! Yes baby wipes are a Gem! I use them for almost everything! I have found that with my 3 year old, things can get pretty grubby. I had missed using baby wipes when my little one was potty training, but I still buy them and use them daily. Anything I need wiping down I always reach for the baby wipes! Fab ideas guys thanks for sharing all! God bless ? Aww no worries I'm glad you liked the article. They are so useful even people I know who don't have kids still use them! Yes, I love baby wipes for this precise reason too! Really? I'll have to try it out!! Yes excellent idea. Great for removing sticky labels from new products too! I work for a charity that amomg other things sells jewellery and we use baby wipes to clean the display boxes of dust and dirt before the costomer buys..
Ahh that's great. I also use it for dusting and dirt removal. Hi Heidi, I also use baby wipes for make-up removal. They're so handy in Summer! I use baby wipes to clean the litter tray and scoop (+of course cat vomit too). I also use them to clean hair brushes as they make it easier to remove hairs, etc. Also as bad as it sounds instead of blowing a bunged up nose over and over again finishing off with a wet wipe in each nostril makes your nose feel much cleaner and clear !!! Ooh great tip with the snotty nose Liza! I get a very sore nose when I have a cold, and this could help me a lot. I've never thought of cleaning a hair brush with a baby wipes either - thanks for sharing, I'll try it out very soon. I use baby wipes each time my shoes/trainers are dirty, it brings them back to the white theyou once we're and without the need for a deep clean, and soon they'll be back looking new. Great tip Wayne, I also do the same. They make the rubber on my white converse come up like new - great for when they need a quick clean instead of a full on washing machine wash. I use baby wipes to clean everything inc the interior of my car (leather seats and the dash). I also use them to clean the kitchen cupboard doors, painted walls, bird poo off the floor (we have 3 parrots), the upvc on the window frames. I also use them with a bit of milk to clean the dye off my face. The best is to have handy when I'm out and about and one or sometimes in my case all the kids need the toilet. I find public toilets loo roll is not that soft on the youngsters skin so it just helps give the final clean. Also very good for this time of year for sticky hands after ice creams, lollies and candy floss etc. You're welcome Sarah hope they were of use. Got to love baby wipes hey! No worries, glad you like them! Great summary of uses. We have another one to add if you don't mind. When we were young and really bumped our heads, mummy came with a big cool knife and pressed it on the area. For our baby, we have used baby wipes since they always seem cool fresh out of a packet and with a hand holding it, the effect is similar. It also helps as the baby gets upset, cries and might get hot, then it continues it's use as a coolant. Aww that's a great tip thank you Nan. THEY DON'T WORK AT ALL ? Really? Which tips are your referring to in particular? And LEGO! As with keyboards and remote controls. No, not every individual piece (!) but the base-plates and larger pieces can get very dusty when left lying around. Great tip Helen! I agree it's great for LEGO as it can get surprisingly grubby. Hi LLoyd I'm afraid we are not offering any free samples of baby wipes but I hope you've enjoyed the article! Baby wipes are really good but not for polishing anything as they leave awful smear marks on everything. Clothing too, i have used these on clothing in an emergency but they have also left oily marks behind. Hi Julie I agree some surfaces don't like baby wipes at all... it's a bit of trial and error in my home. It works really well in my kitchen and bathroom, not so much in the living room. I use them to remove cat sick stains (even old ones they have hidden from you!) on carpets - brilliant!! Lots of uses but be careful,if using to clean a coloured leather suite it takes the colour of it. Thanks for the tip Linda. They are also highly recommended for quality leather handbags. Good to know, thanks Alison! can we use wipes inside the fridge for cleaning? I do yes! To get rid of the initial layer of dirt and grime, but then I make sure I finish with a sponge and hot water. I use baby wipes to keep the bars on my parrot and coccatiel cages clean. That's a great tip :) I use non-fragrances baby wipes for petcare too. Baby wipes are fantastic when children start feeding themselves or you genuinely have an accident and spill food down your clothes. The baby wipe not only cleans the mess of your clothes but always gets the stain out as well. I never go any where without them. Whether i have the children, grand-children or grown up children. I take them every whete. You should too. I agree - they're so useful in everyday life. I'm never without them! Can we use baby wipes for like "deodorant wipes" ?? I don't see why not! They're always useful for a quick refresh especially in the Summer. You should never ever use baby wipes on a whiteboard. Over time the chemicals damage the board and you can then never get it properly clean again. Am a teacher and dealing with a stuffed whiteboard at the moment because the teacher to have that room before me used the wipes instead of the whiteboard cleaner. Which is really frustrating as the school provides the cleaners and not baby wipes. If you store baby wipes with the open lid upside down it keeps the wipes moisture for longer. Hi SooziQ. The article actually states not to flush baby wipes down the loo after use. Instead, it's best to dispose of them in the bin, because, as you say, they are non-flushable. Wash inside of vehicle; doors, dash, steering wheel. Baby wipes are a MUST for visiting farms or zoos! We use them many times all day long to desire no animal issues. We occasionally use the anti bac wash still but you get very sore if you use that all the time! That's such a great idea, Sheila! I remember having my nose rubbed with what I can only assume was sandpaper when I was younger! Your grandchildren are very lucky. baby wipes good for cleaning venetian blinds. Amazing for cleaning ceiling fans , especially those very dirty ones when blades covered with mix of grease, cigarette smoke and dust. We'll have to give this one a go! Thanks for letting us know Gill. Just used baby wipes on stains in my Jeep and girlfriends car. Worked great. Who would have thunk?! We're glad you found the article useful, Randy! The man who fitted my day and night blinds said a baby wipe will clean marks off them easily. Just dab the area with a dry bit of cloth, afterwards then open the window and let the air dry it naturally. Use them as a cheap alternative to dryer sheets they work really well. Hi, is it possible to use makeup remover wipes for all these too? I'm concerned they might be more abrasive or leave some kind of residue that might irritate the skin. Hi Hannah! Makeup wipes would work for some of these, but they're probably not suitable for anywhere on your body besides your face. Please don't use them on leather furniture. Use a weak solution of soap (soap, not detergent) and water and lightly rinse with a wrung out cloth and dry with a soft cloth. They're really handy in emergencies!